The last point is particularly relevant when considering that it conditions the international future saleability of the production of the Beverage Bottling Line. Modern food-grade lubricants can be eated without to experience negative consequences. 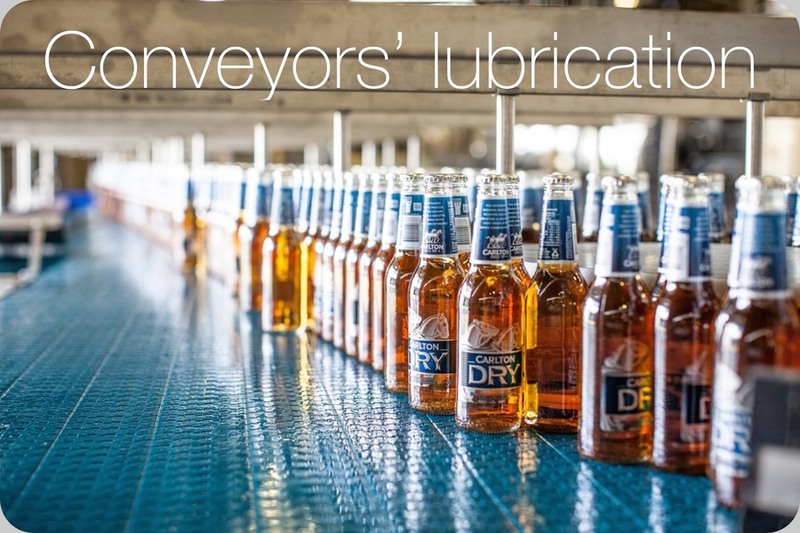 One of the most important features of the lubricants is its viscosity. In layman words, the viscosity of a fluid is a measure of its resistance to gradual deformation by shear or tensile stress. For liquids, it corresponds to the informal notion of “thickness”. Because of its definition, it is strictly related to the energetic level of the fluid, itself measured by its temperature. Why ? From a deeper point of view, viscosity is related to shear stress and the rate of shear in a fluid, illustrating its dependence on the mean free path of the diffusing particles. With reference to the video below, imagine to launch a billiard ball marked B in the middle of sixteen others, marked A1, A2, …, A15, A16 in movement on a circular table. Balls experiencing unavoidable recoils after hitting the table borders or another ball. Establish a statistics of the mean free paths of the ball B, after successive hits and recoils. After having increased the average speed of the sixteen billiard balls on the table, launch again the ball B test on the table. Increased average speed means an increased kinematical energy of the balls A1, A2, …, A15, A16. Compare the statistics of the mean free paths of the ball B and you’ll discover something relevant. To different average kinematical energies are related to different values for the mean free paths. Since years greasing is no more a necessarily manual activity. Perma automatic grease cartridge allow automatic lubricating systems. The cartridge visible above contains 120cc of grease and is timed for a six month period. Good high-temperature and water-resistant properties. Used in steel and paper mills. Most common food grade thickener with H1 approval. Excellent oxidative resistance because of non-metallic thickener. Grease of choice for electric motors and sealed-for-life applications. Non-melt resulting in good high-temperature properties along with H1 approval for food grade. Good water resistance and H1 approval. Very good inherent corrosion resistance and high EP along with H1 approval, but expensive because of high thickener content. Used in corrosive and high-load environments. The table below shows the most proper range of ISO viscosity grades for different applications, commonly part of the Food and Beverage packaging Line. Generally, lower base oil viscosities (e.g. ISO 100 or less) are used in high speed applications and higher viscosity base oils are used for slower speed or heavily loaded applications. H3 used to prevent rust on hooks, trolleys, etc. meeting USDA H-1 safety standards. Barcode Scanners￼Electronic Inspectors are applied also to read and cross-check data printed on labels or etched on PET bottles and caps, like:barcodes, prints,Best-Before-Date (BBD).Solutions, prices and technologies depend on the particular ambient where the application is thinked (in-the-labeller machine or along the conveyor in case of barcodes’ detection) and also on what has to be detected.